We are proud to have recently added the UniTherm line of thermal blankets to our family. This insulation can be used to insulate plastics machinery, pipes & components, and for fire protection. 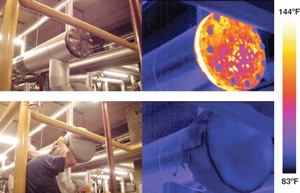 UniTherm Insulation is an ideal way for customers to reduce their plant energy costs, protect employees from the hazards of hot equipment, and lower the plants’ ambient air temperatures. Less wasted energy means lower utility bills. 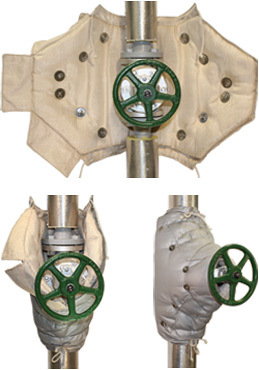 Every uninsulated valve, flange and fitting is costing you money every single day. As an example: Insulating a 6" gate valve adds $525.00 back to your bottom line every single year.